The cheapest in its class, the purest of the pure, the best of Google - the Nexus 5. As part of Google’s mission to get an Android in everyone’s hand, the Nexus series was created to bring affordable, high-powered, pure Google devices to the world (once they were in stock). 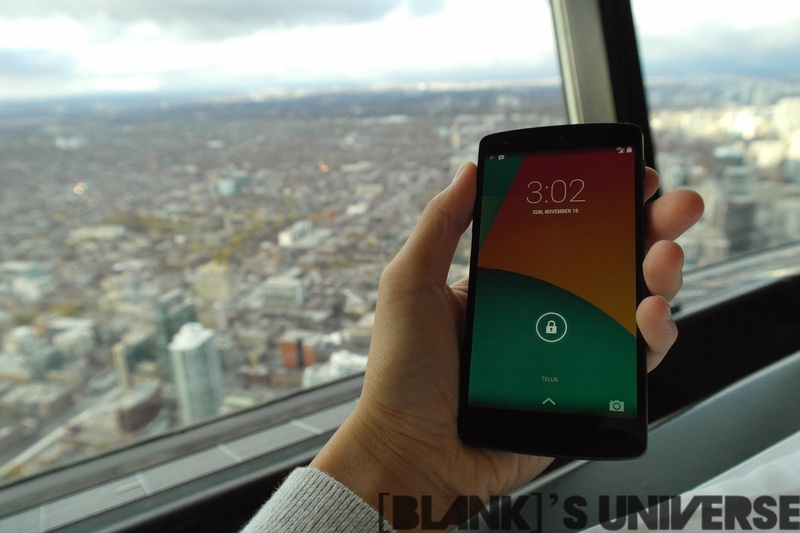 The Nexus 5 is a symbol to Google’s commitment to the Nexus line. The Nexus 5 had some very strong competition from Samsung, HTC, and even LG. 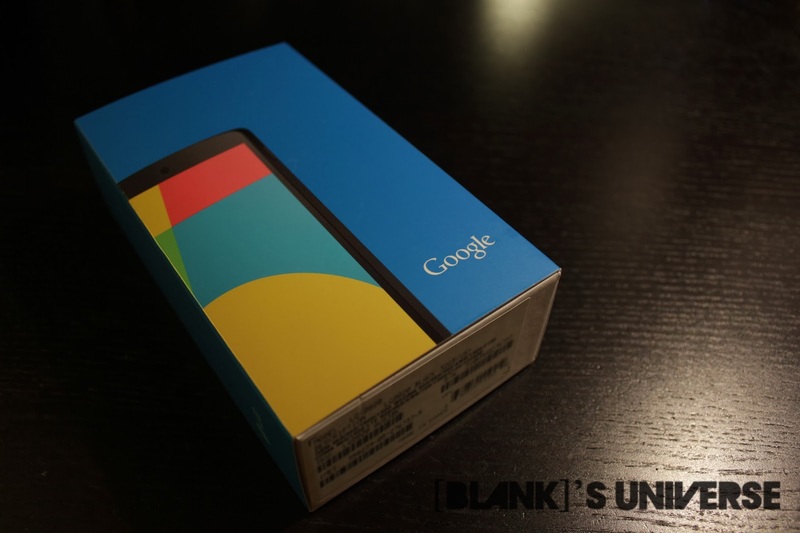 The Nexus 5 comes in the ubiquitous colourful sleeve and a cardboard box holding the phone is within. The sleeve is printed with a picture of the phone in the front and in the back, there is a picture of the rear camera and some regulatory information. 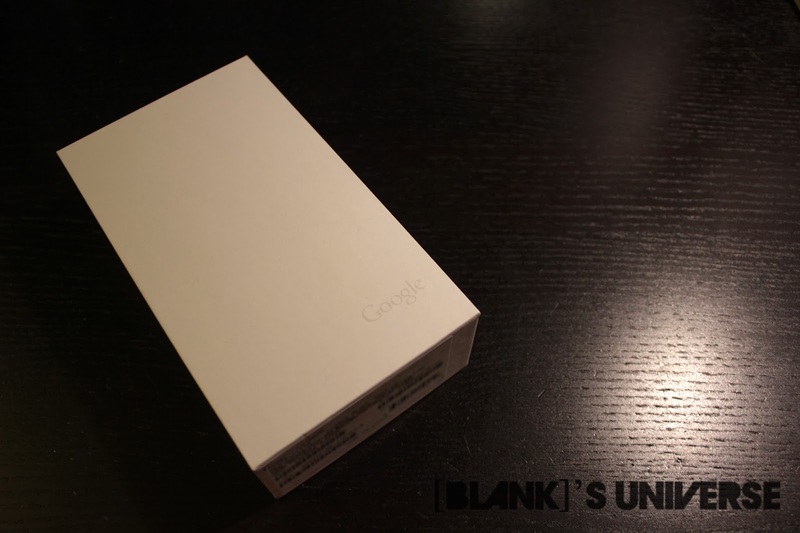 The inner box is white with the Google logo in gray, barely visible. Two pieces of tape hold the top of the box to the bottom. Inside the box is the phone itself, a SIM ejection tool, charger and micro USB cable, and a plethora of manuals. 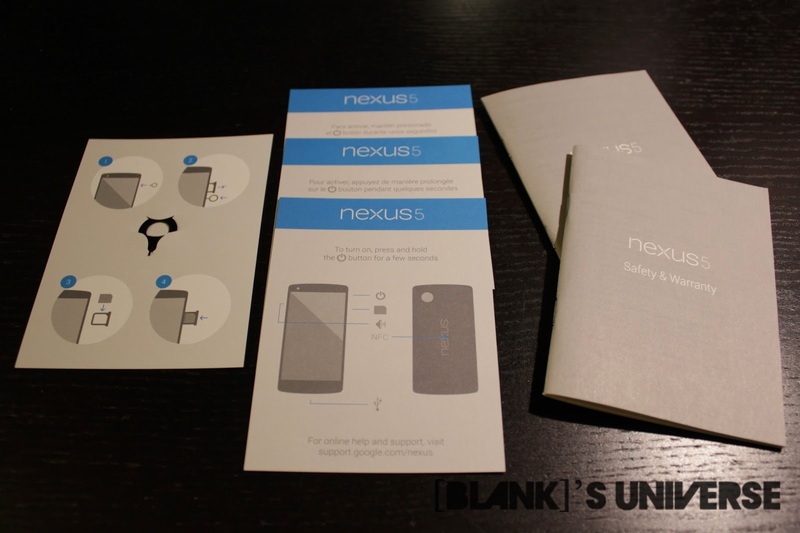 Note that headphones are not included with the phone, similar to the Nexus 4. Taking a look at the phone itself we find the ceramic power button on the right side of the phone and ceramic volume buttons on the left side. The buttons feel well made and they are easy to press, maybe too easy. Whenever the phone is held horizontally, the volume buttons are easlly depressed by your thumbs. The SIM card tray is also located on the right side of the phone, below the power button. The front of the phone features the front camera, a few sensors, and a uniquely round earpiece speaker. Another unique feature is the notification LED being placed at the bottom bezel, below the screen. On the bottom, a set of speakers are located on either side of the micro USB port. On the back sits the 5Mp rear facing camera which will be discussed later , as well as an recessed nexus branding. This underdog is a powerhouse. Using the same CPU, the 2.3 GHz Qualcomm Snapdragon 800, and GPU, the 450 MHz Adreno 330, as the Note III, this device will pack a punch. The Nexus also features a now obligatory 4.95 in. 1080p Full IPS display with Gorilla Glass 3 and a pixel density of 445 ppi. In the memory department, the Nexus comes with a good 2 GB of RAM with 16GB and 32GB storage options. Similar to the Nexus 4, the 5 will also have a 2300 mAH (A 200 mAH upgrade from the Nexus 4) non-removable battery good for 17 hours of talk or more importantly 8.5 hours of internet time. The 5 will also feature built-in Qi-compatible wireless charging, NFC, dual-band WiFi with support for ac, LTE support (finally! ), Bluetooth 4.0 LE, and Android 4.4 KitKat. The camera will be similar to the Nexus 4, an 8MP rear camera, but it does have Optical Image Stabilization (OIS) to handle some of the shake. It will also have an HDR+ mode which will expand the dynamic range even more than the standard HDR. The OIS will come in handy when taking HDRs. The Street-View-esque Photo Sphere will also be a great feature on the Nexus 5. 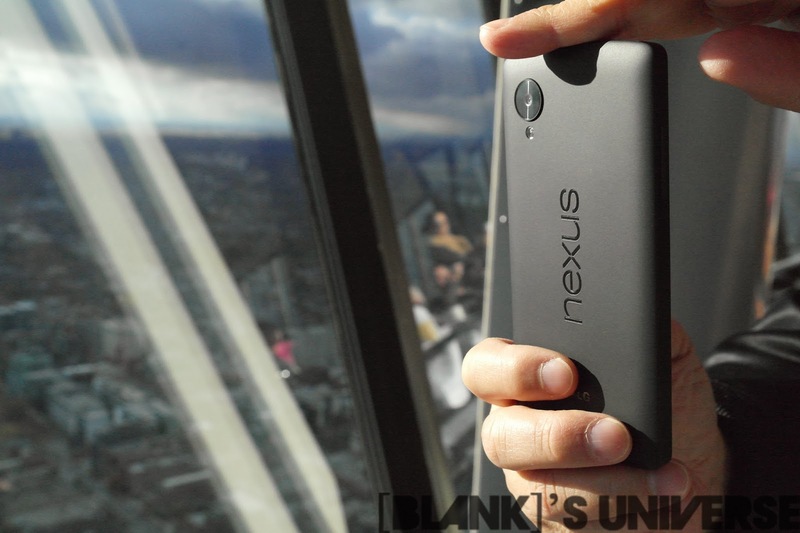 The Nexus 5, like its predecessor, will be SlimPort enabled. If you don’t know what SlimPort is, you are not alone. It is a DisplayPort-compatible video standard that can output a variety of video formats through the microUSB. It is similar to the more popular standard, MHL, which is available on many more devices. Currently, there are SlimPort adapters for VGA and HDMI and both will run you around $30-40. Coming in at $349 for 16GB and $399 for 32GB , both unlocked, it is very very attractive. Of course, one of the perks of being Canadian, we have a nice chunk of tax and shipping on top of that but it is still far cheaper than its competition. The offerings from LG, HTC, and Samsung are all around the $700 range. You may be wondering how Google can offer this device for so little? The most important specs stack up to the competition but smaller details like the camera was downgraded to save some dough. If you can wait and if Google follows a similar path as it did with the Nexus 4, there will be a price drop around summer time. This is a great phone but there are a few things that can be much better. The battery life is not the best but this could probably be fixed with a new update. The audio from the phone was quite quiet and notifications were often missed. This was fixed with the 4.4.2 update. The multitasking window also lacks a clear all button found on Samsung and many other devices and it does come in handy. The most annoying part of the phone is that you are “forced” to use Hangouts. Using Hangouts, the only part differentiating an SMS and a Hangouts message is a small label stating “SMS”. This became very annoying as many of my intended texts became Hangouts messages. The next day, I had to switch to using Textra, a really nice SMS app that can completely replace Hangouts (unless you actually like using Hangouts). I also had problems connecting the phone to a Bluetooth car speaker. The volume was extremely low, because the phone thought it was a headset, I believe. The voice dialing was also horrid. It obviously does not use the same voice engine as Google Now as it is much better at recognizing my voice. It is disappointing that such a basic feature does not work well. If you need a new phone because you lost it, it was stolen, looking for a cheap upgrade, or if you just had your contract run out and are reluctant to signing another one, the Nexus 5 is the way to go. If you do not care about price or do not mind to be locked in with a carrier, there are better choices on the market such as the Samsung Galaxy Note III. At its price point, we cannot ask for more. For $400, you get a high-end Android device with Android 4.4 KitKat (and the new Android versions in the future without having to wait), unlocked. My current phone is a SIII and I would love an upgrade to the Nexus 5. Pick one up for yourself at the Play Store.